The free 30-minute preview of LIIFT4 is live today only. It's a full body workout that requires resistance bands or light, medium and heavy weights. Joel is going to work us from head to toe for maximum results in a minimum amount of time so keep your equipment close by for quick transitions. Remember, this FREE preview is available today only and can only be accessed from a web browser on your computer, tablet or smart phone. It is not available on the Beachbody On Demand iOS or Android app. 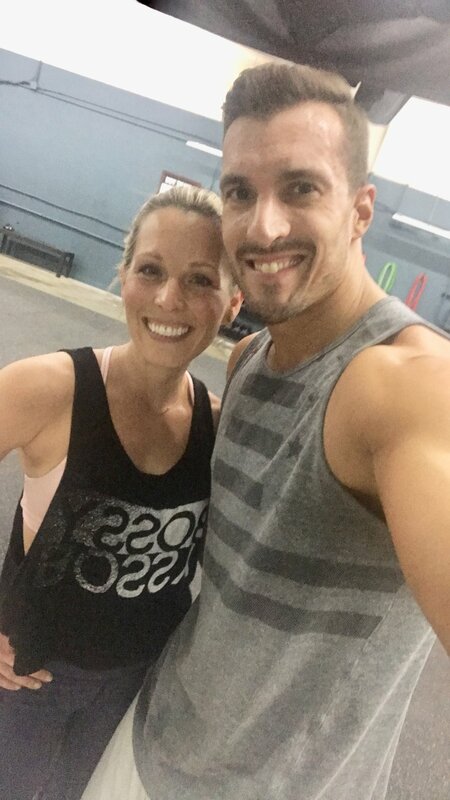 If you don't have access to Beachbody On Demand you can set up a free account through this link and join us for the sample workout! LIIFT4, the newest training program from Joel Freeman, creator of Core De Force, is a no-nonsense combination of weightlifting and high intensity (HIIT) cardio to build muscle and scorch fat. The moves are based on classic lifting techniques that let you isolate, stabilize and focus each rep on the muscle group you're working. Every workout ends with a core routine for a full body build and burn that leaves you shredded. There are no gimmicky moves, no overly complicated routines and no opportunity for boredom because you'll never do the same workout twice. Get it DONE in just 4 days a week, about 30 minutes a day, 8 weeks total. Perfect for busy summers. Oh, and there's a treat day...because it's summer and life is about balance! I know many of us are used to 6 days a week and a lot of us have completed 80 Day Obsession. Trust me. You aren't going to lose results and this is perfect if you want to add in other variety because you can. Run, cycle, take a yoga class, do your favorite 80 Day Obsession routine on a few of your days off. This program is designed to allow you to incorporate other activities you love into your workout routine if you want to. But if you don't or you just don't have time...you will still get amazing results! If you sign up or upgrade to a coach account when purchasing your LIIFT4 early access you will receive access to Joel Freeman's private coach test group being run exclusively by Joel himself for the full duration of the program. You will also receive 25% off all future purchases with no obligation to work the business. You can simply enjoy the discounts and Joel's group in addition to mine! If you are not interested in purchasing an Early Access option listed above, LIIFT4 workouts will open up to all Beachbody On Demand members on October 1 in your library. I can't think of a better way to win the summer than with LIIFT4! Crush it 4 days a week, lock down that nutrition most of the time, but enjoy guilt free treat days, have the flexibility to incorporate other activities you love, get amazing results. Don't miss out. Join us for 8 weeks of summer fun getting fit while staying flexible. Try the preview workout TODAY ONLY (June 4) then fill out the application below and I'll send your link to join us on June 11. Early access packs are available beginning June 11. Success groups open up July 16. Are you ready? Can't wait to spend the summer getting healthy with you!